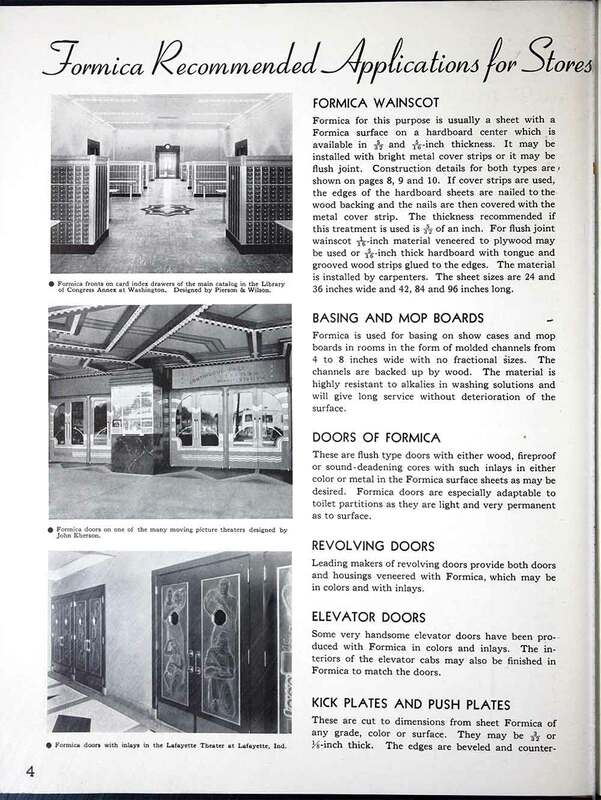 Since we’ve focused our spotlight on Formica lately — with our stories of Formica’s 100th Anniversary collection — and revisiting the 24 styles of boomerang laminates that are available today — we thought this would be a good time to immerse ourselves in this vintage Formica catalog from 1938. 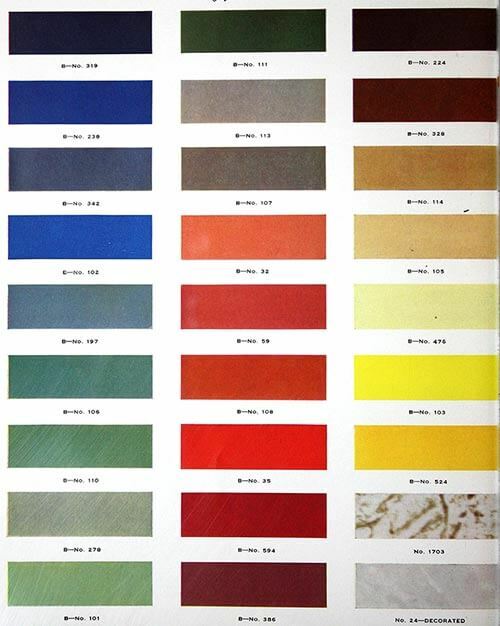 Its 12 pages are packed with historic information — capture 50 historic Formica colors — and showcase possible uses, construction diagrams, available colors and forms, and even technical illustrations for both home and commercial uses. 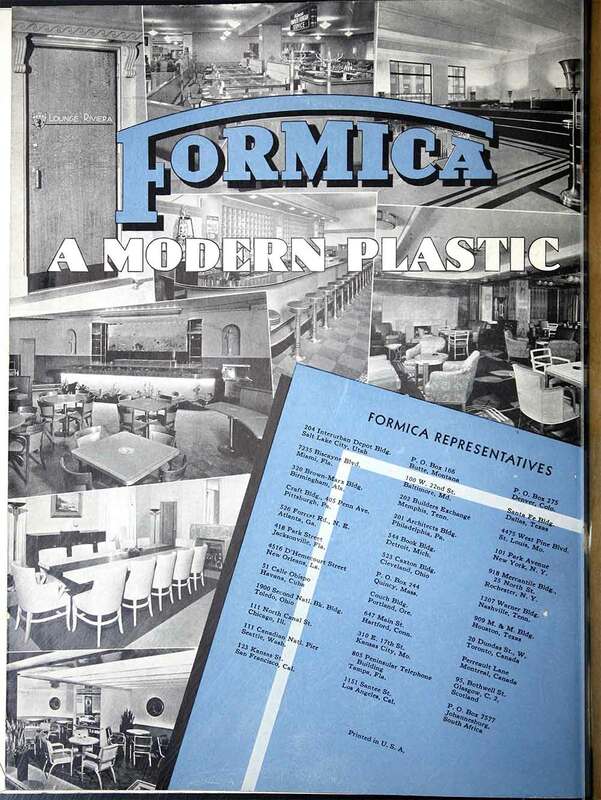 In 1938 — when this catalog was published — Formica certainly seems to have been promoting itself a a Thoroughly Modern Material. 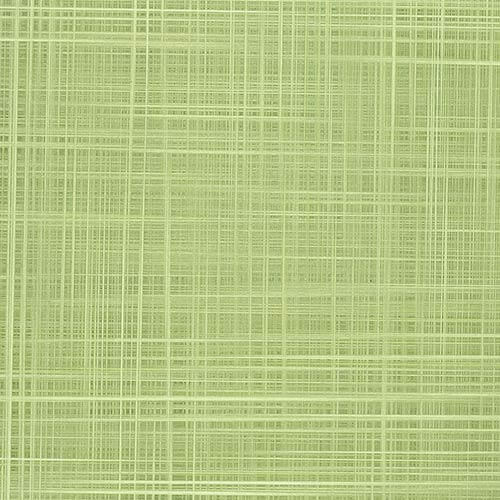 The catalog celebrates the range of color and design that could be fabricated, the ease of cleaning and durability. 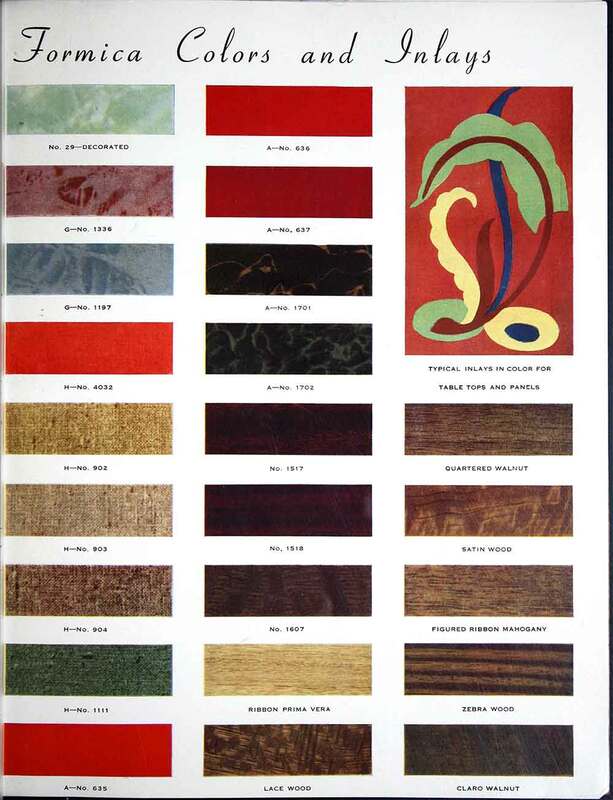 The company wanted builders and designers to know: You could put Formica on just about any surface. 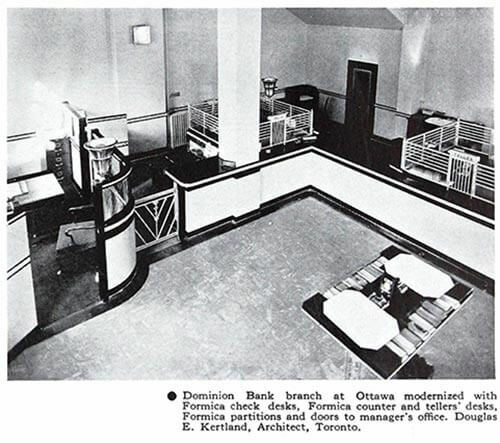 Take a look at the photo of the deco-style Toronto bank, above — Formica all over the place. 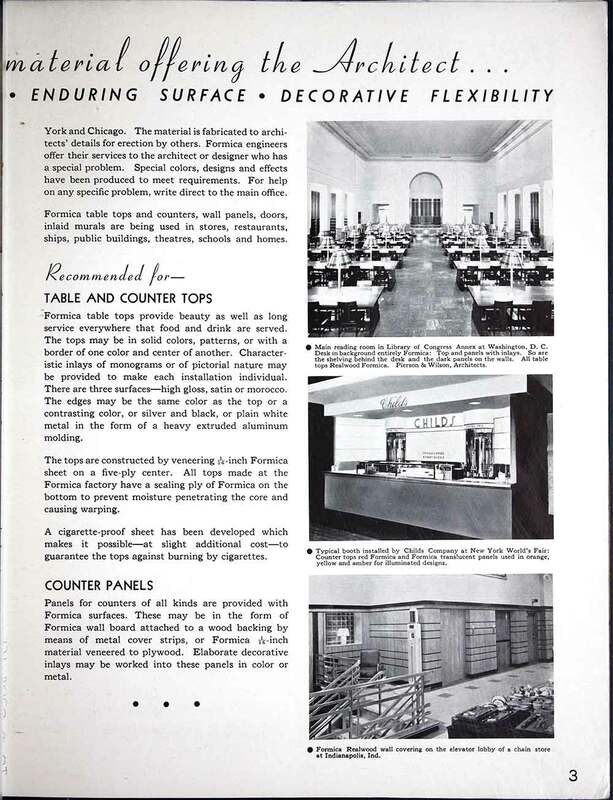 Table and counter tops — including a special sheet designed to be cigarette-proof to guarantee against burning. 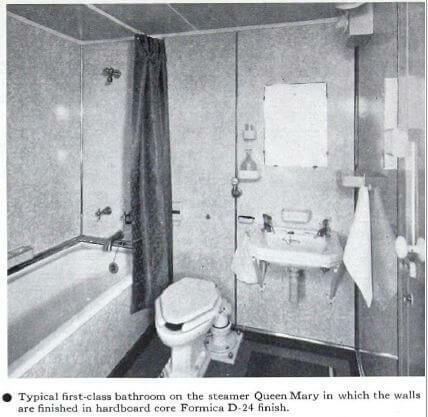 Here, Formica shows their product being used on the Queen Mary. 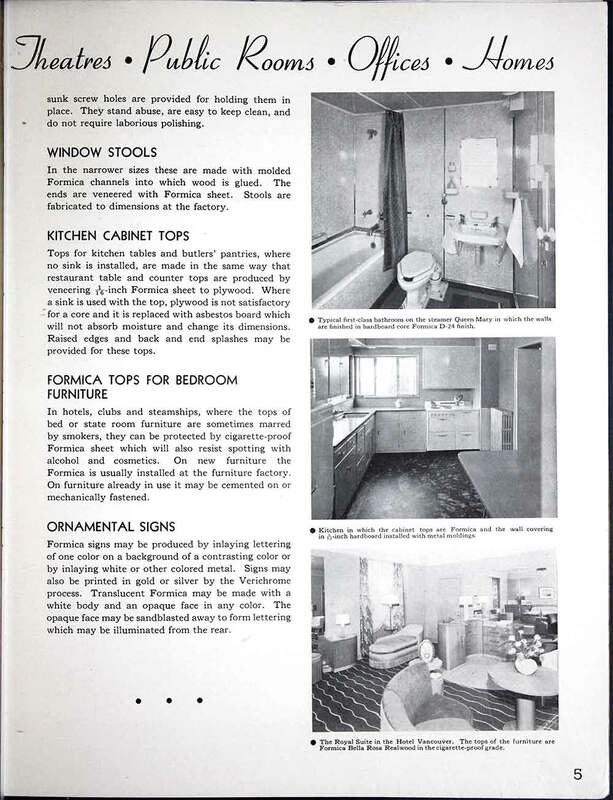 We have had readers ask if Formica can be used on shower walls. We don’t know — please ask the companies. Meanwhile, we’ll add this question to our list of topics to research. 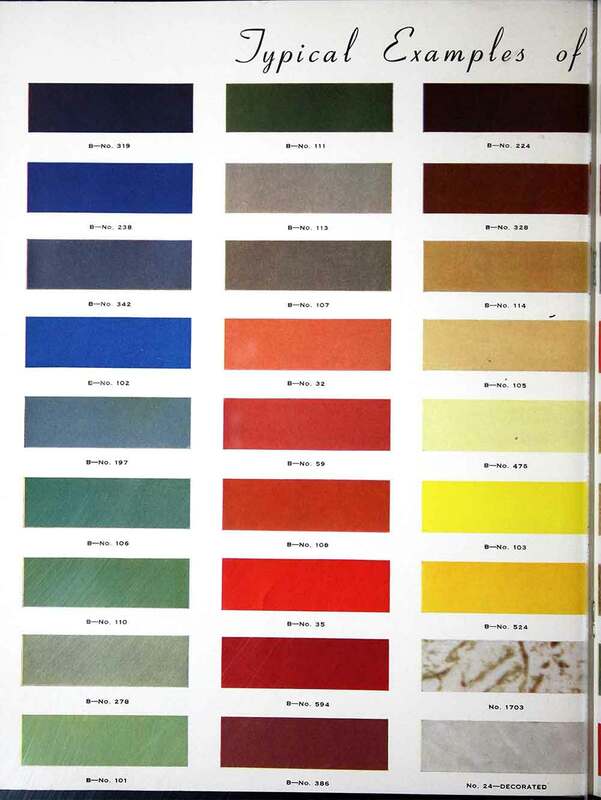 According to this catalog, there were more than 70 colors available. 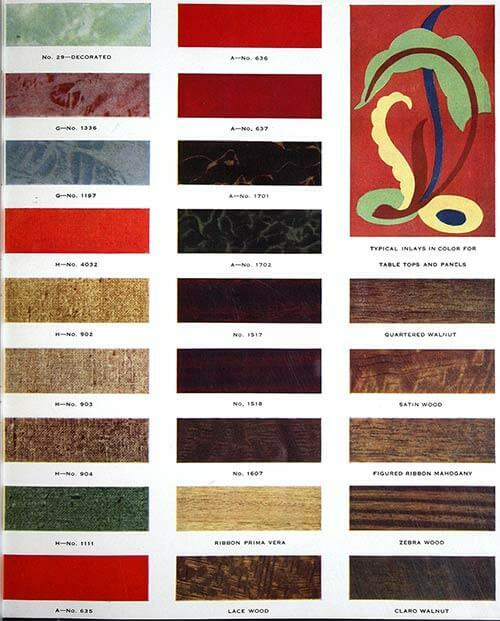 50 swatches are shown in the catalog. It seems though the possibilities were endless — any colors could be combined through inlays (we LOVE vintage dinettes with inlay designs!) or with metal — to create an infinite variety of looks. 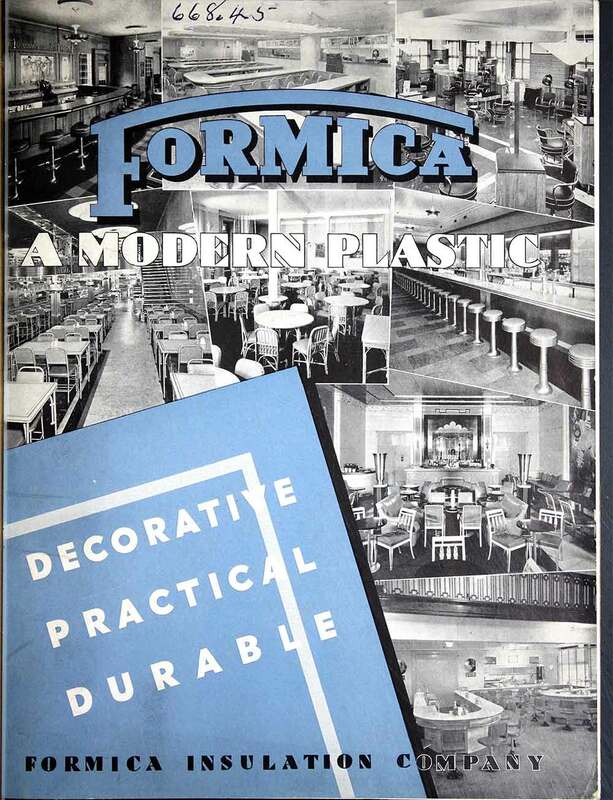 The catalog tells us that Formica was also available in Realwood — a sheet in which wood veneer (rather than the more commonly used decorative later of “kraft paper”) was laminated — combiningthe beauty of a real wood finish with the durability of Formica. 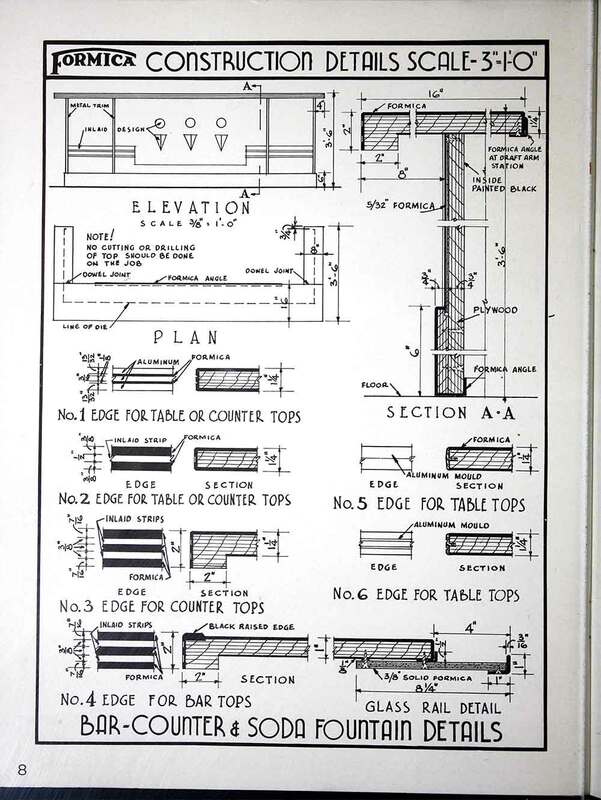 Perhaps when we see vintage furniture with laminate that “looks like wood” — it really IS wood in that laminate sheet??? 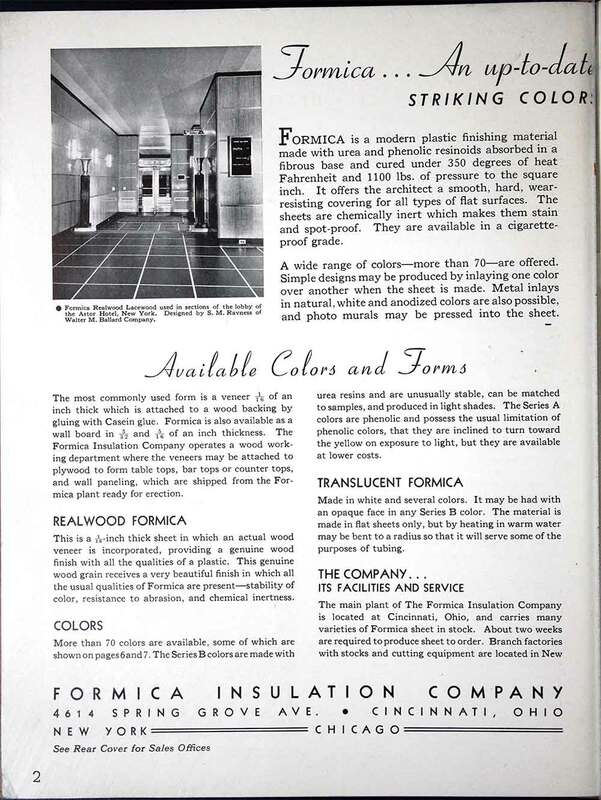 The catalog also mentions a translucent Formica — available in several colors — that can be made with an opaque face. 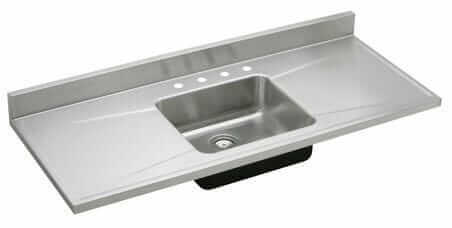 It could only be fabricated in flat sheets, but could be coaxed to bend by heating in warm water. Today, we are so … bláse … about plastic. 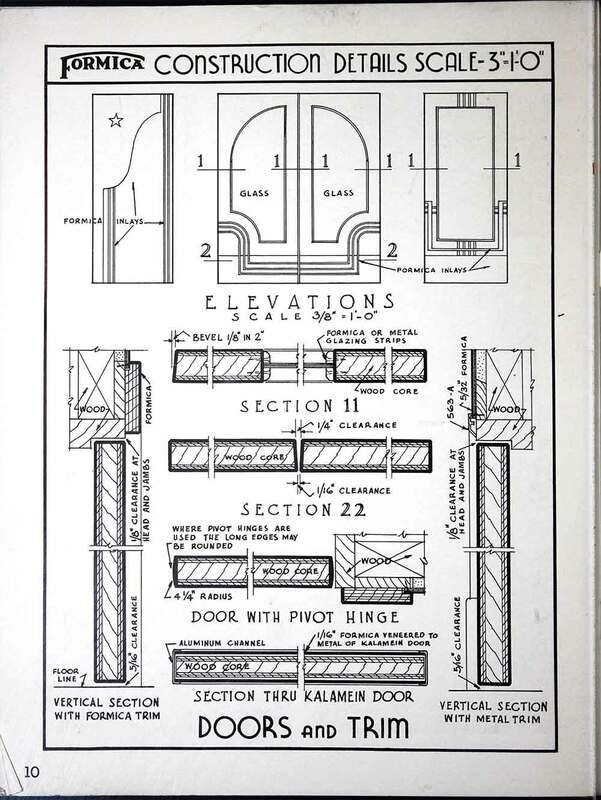 It kinda has a bad name in the mainstream home design world… we take it for granted. But when it was first introduced — it was transformational. 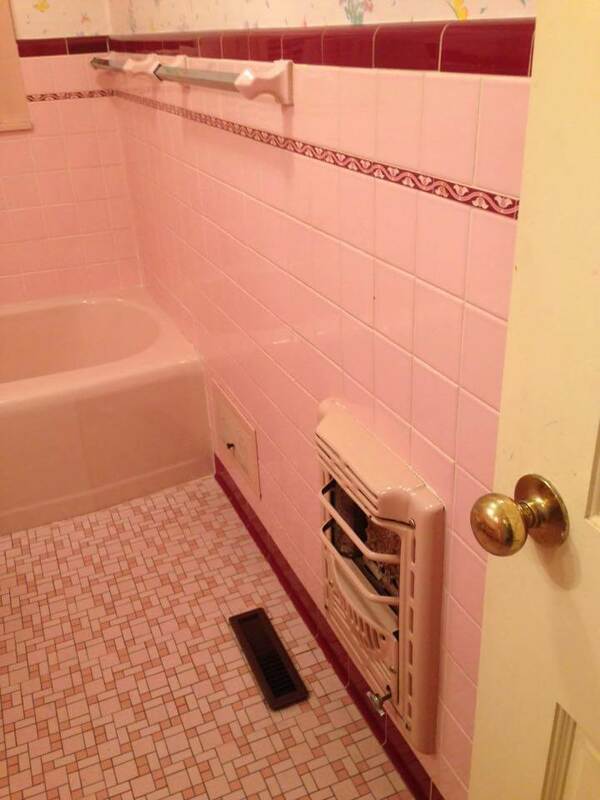 It solved so many “problems”, and it was affordable to the masses. 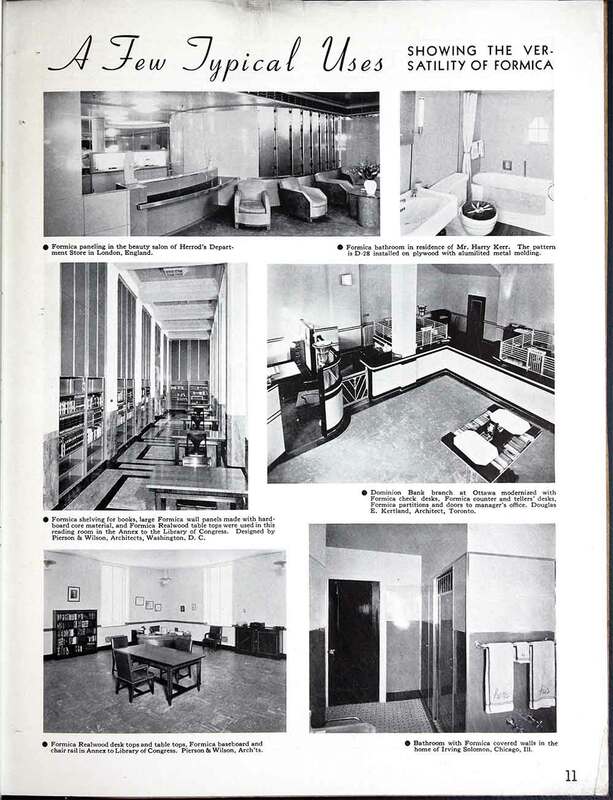 So cool to get a glimpse of the early days of laminate and the seeming excitement about its transformational design opportunities. 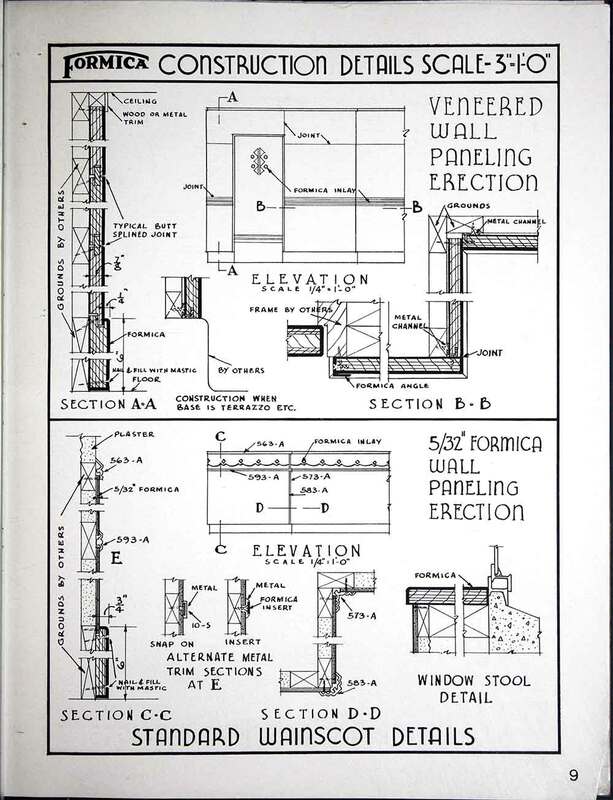 Special thanks to The Canadian Centre for Architecture via archive.org for making this catalog available; it is featured here via Creative Commons license: Attribution-No Derivative Works 3.0. 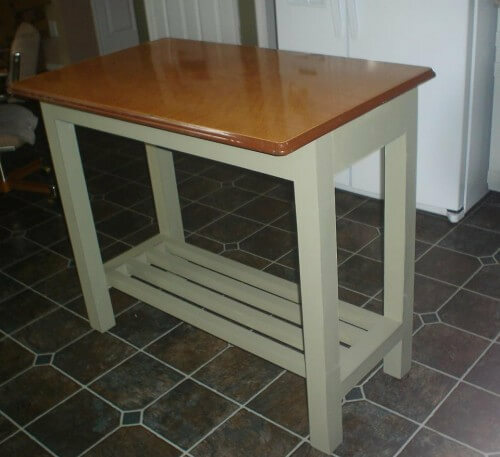 I think the best design use of Formica was chrome legged kitchen tables. No other material seems as design compatible with chrome legs as Formica if you think about it. 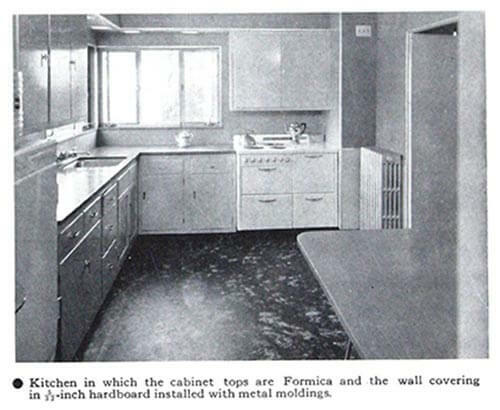 This is probably why vintage kitchen tables are still so popular while Formica counter tops fell out of vogue. I found a very large (20″ diameter) lazy-susan at the thrift store last week and it has 2 very unique laminate patterns. The surface of the plate is a wide yellow and cream stripe and the edge is what looks like a flower or ice crystal pattern in gold on a white background. Any thoughts on who manufactured it or what the pattern names are? I can send pictures if you want. Thanks!